“Parting Song” by Batyr Berdyev received a positive feedback for both its political meaning and literary value. 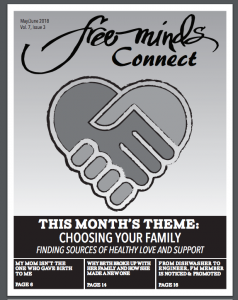 Free Minds Connect is the Free Minds Book Club and Writing Workshop newsletter that gets to be distributed in US Federal prisons among teenagers charged and imprisoned as adults. Being able to talk to your friends and family while incarcerated is a protected human right. 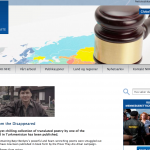 However, this right is abused in many countries, where people are subjected to “enforced disappearances” in prisons. One victim of such a brutal practice made his voice heard through poetry. I had been warned that DC was a city on the fritz, ragged around the edges, with a berserk president hiding in the storm drains dressed in a clown suit. This was not entirely true, but it was hard to get lost: you could measure your proximity to the White House by the number of people standing in the street and smoking. 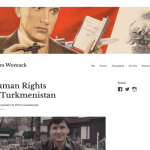 On September 15, the NGO campaign “Prove They Are Alive!” published a book of poems written by Turkmenistan’s former Foreign Minister and former Ambassador to the OSCE Batyr Berdiev, one of more than a hundred people who have disappeared in Turkmenistan’s prisons. A beautiful yet chilling collection of translated poetry by one of the disappeared in Turkmenistan has been published. 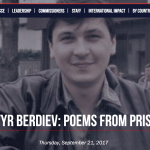 Manuscripts containing Batyr Berdyev’s powerful and heart-wrenching poems were smuggled out of prison, and have now been published in book form by the Prove They Are Alive! campaign. The most famous thing that W.H. 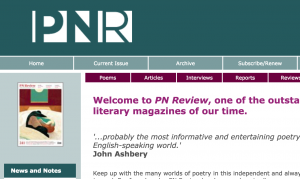 Auden said was probably ‘Poetry makes nothing happen’. It’s a line that’s often produced as a justification for inaction, or else an attack on the idea of poetry. Why are you wasting your time with this, when poetry makes nothing happen? The problem is that it’s a cut-off quote: it comes from Auden’s ‘In Memory of W.B. Yeats‘. 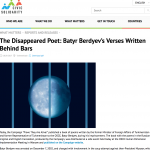 On September 15, 2017 the Campaign “Prove They Are Alive!” published a book of poems written by the former Minister of Foreign Affairs of Turkmenistan and former Representative of Turkmenistan to the OSCE, Batyr Berdyev, during his imprisonment.